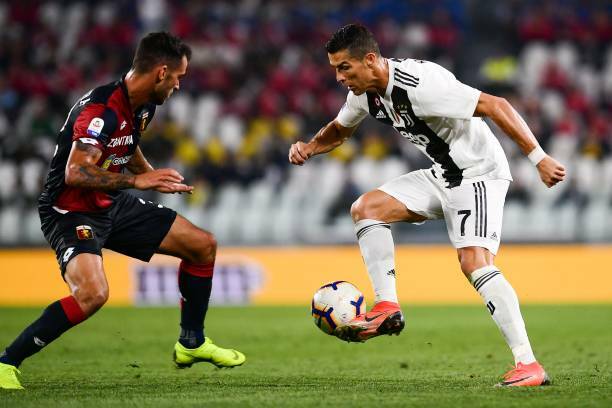 Juventus perfect start to the season has been abrupted by Genoa, who grabbed a point on their visit to Allianz Stadium on Saturday evening. 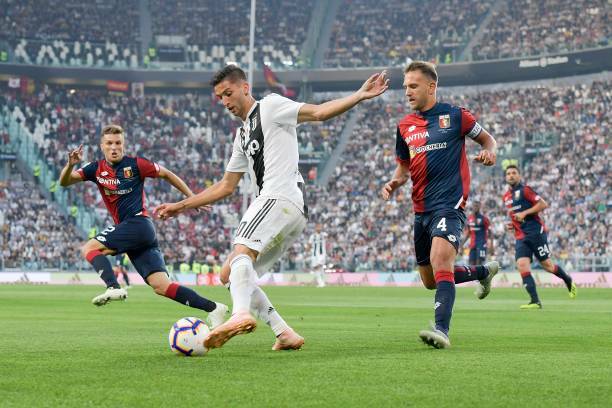 Despite appearing set for a comfortable win, especially after a dominant first half, Juventus failed to press home their advantage and were punished for their lack of ruthlessness. Daniel Bessa struck after the interval to cancel out Ronaldo’s first-half strike, ending Juventus winning run. Juventus dominated the match in the early stages, playing football that was both pleasing on the eye and effective. Cristiano Ronaldo was at his best form, going close with only a few minutes played, controlling Miralem Pjanic ball perfectly but failing to hit the target. The Portuguese striker then hit the woodwork just before the 15-minute mark, heading Juan Cuadrado cross from the byline onto the frame of the goal, before putting the rebound over. Ronaldo would not be denied however, as a fortunate deflection following Joao Cancelo shot brought the ball into the frontman path, and he made no mistake from close range. But, Genoa struggle to equalizer Christian Kouame received a loose ball on the right and with plenty of time to cross, gave Bessa the easiest of headed finishes to make the score 1-1.